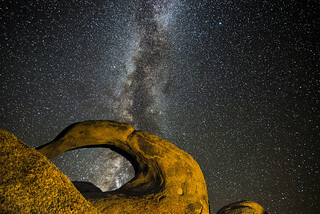 Milky-way seen through Mobius Arch, Alabama Hills. Me and my old friend Mac headed out to Mobius Arch over the weekend in search of a dark place to catch the Perseid Meteor Shower. Here is what we took while we were shooting the meteor shower in the opposite direction!